Are you spending TOO MUCH time marketing your business? How much should I be marketing my business? How much time should I be spending marketing my business on social media? These are some of the questions I receive from clients, followers, and workshop participants regularly. And at the end of the day the answer is going to be different for everyone depending on where they are at, the activities they partake in, and other variables. I spend quite a bit of time marketing my own business on social media. In part because, this is how I attract customers to my business. I also don’t teach anything that I do now know first hand, so my own social media accounts are used as guinea pigs to explore how things work, what strategies work, and what don’t. This led me to question whether I might be spending TOO MUCH time marketing my own business. Watch the video to learn what I learned when it comes to how much time you should spending marketing your business and see if you are on the right track! I am willing to bet that that’s one of the most frequently asked questions of the decade. Having a social media presence for your business has become a fundamental piece of your marketing collateral. Not having a presence on social media would be like not having a phone number. 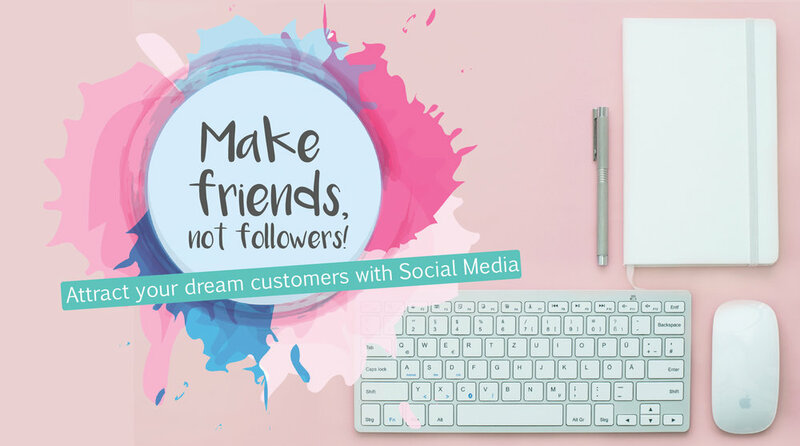 To attract more followers, you need to give potential customers a reason to follow you beyond you wanting to sell to them. By asking them to like your page or follow your profile, that shouldn’t just be an invitation to promote to them. What are some good reasons to follow you? What value are you currently bringing your followers? One of the most effective ways to attract followers is by sharing value. Value means that you are helping your followers overcome some type of challenge. In my case I share social media tips and strategies to help you grow your business. If you are a naturopath, sharing advice on how to overcome common health struggles would be valuable, and if you are a vintage clothing market, then it might be sharing how to pair your pieces to make a perfect outfit. At the end of the day the value is in the eye of your ideal customers. When in doubt, focus on them, not on your products. People want to do business with people. Not businesses or logos. Our whole goal in life is to connect with others. Make an effort to connect with your audience on a real, authentic level. Give your audience something they can connect with, ask questions, and engage with them. By building relationships and encouraging conversations, you give your followers a reason to come back. Business is based on relationships. For long term success you need to build relationships with your customers, future customers, and audience! There are lots of way to get new followers. The ones that feel like shortcuts probably are. Whenever someone recommends you take a certain approach to get followers always ask yourself: who will I attract when I do this? If the answer isn’t “my ideal customers” or some variation of that answer, STOP what you are doing immediately. Your future self will thank you. In this week’s video, I show you how to schedule a live video on Facebook! One of the best ways to make sure that your audience tunes in and watches your live video, is to make sure they are aware that you will be going live! Scheduling your live gives them that heads-up. Is will also convert the time zone so that there is no confusion about when to tune in! The notification that Facebook creates when you schedule a live video also gives your audience the opportunity to sign-up for reminders. These reminders will send notifications just before you go live to those who subscribed to make sure they don’t miss out! Scheduling your post also enables a “pre-stream lobby”, where your audience an wait for the stream to begin. The most beneficial aspect of scheduling a live video, is that the post that Facebook creates to notify your audience, is where you will actually appear LIVE in the date and time that you chose. That means that anyone who wants to see you live can go to that post and they will be able to watch you live from the beginning. You don’t need to create a new live, and your audience doesn’t miss out on the first couple of minutes trying to find the live stream. You can take the link of the post and share it! Since this is where you will appear live, you can give your audience the exact link where you will be showing up live, instead of sharing the post after the fact. There are 2 ways that you can set up a bot in this situation. The first, is sending a message to all your subscribers encouraging them to watch live. Now that you’ve scheduled the post you can share the EXACT LINK where they can watch! The second is to set up a comment bot in relation to your call to action. When you do this, you choose a keyword that your audience needs to type in the comments, when they do that they will get an automated message sharing the offer you mentioned. You can only set up this type of bot on an existing post, so scheduling it gives you the ability to do that! NOTE: While you can schedule your live directly from your page, you can’t actually stream to that post natively from Facebook. You need streaming software to allow you to do so. Watch the video to learn how to schedule your Live!